There is a lot to love about compact crossovers. They offer the great fuel efficiency like a car, and provide the cargo carrying capabilities of a sport utility vehicle. For these reasons and many more, compact crossovers are currently the hottest selling vehicle in the market. The Honda CR-V sits among the top performers in the compact crossover category. Why? There are actually a lot of reasons for the CR-V’s sales success. For starters, it’s a Honda. That means you are getting a crossover with the highest levels of quality, dependability and reliability. The 2018 Honda CR-V also comes with a ton of standard and available tech features. That includes some of the most advanced safety technology on the market in the form of the Honda Sensing package. Owners and drivers can choose from four different trim levels on the 2018 Honda CR-V: LX, EX, EX-L, and Touring. Each trim levels offers a spacious interior, fuel efficient engine and plenty of tech features. Now’s the time to visit Fernandez Honda in San Antonio and get a great deal on a 2018 CR-V. We stock the complete line of new Honda models for shoppers in the La Vernia and Universal City areas, and price all our new Hondas aggressively in order to sell them quickly. We invite you to shop all our inventory online and then head down to our Honda dealership located at 8015 IH 35 S. San Antonio, TX 78224. The interior of the 2018 Honda CR-V is available with luxury features like leather wrapped steering wheel/shift knob, leather trimmed seats, heated front seats and many other premium options. You’ll find amenities like these available on the high-end Touring trim of the 2018 CR-V. There is also a plethora of tech features available on the 2018 CR-V including a seven-inch touchscreen system with the highly popular Apple CarPlay and Android Auto functions. As noted earlier, Honda has equipped every trim level of the 2018 CR-V with the Honda Sensing safety package. This includes driver assistance technology like Lane Keeping Assist System, Adaptive Cruise Control, Collision Mitigation Braking System, and Road Departure Mitigation System. You can take your pick from ten different exterior color choices on the 2018 Honda CR-V: Molten Lava Pearl, Sandstorm Metallic, Basque Red Pearl II, Dark Olive Metallic, Obsidian Blue Pearl, Gunmetal Metallic, Crystal Black Pearl, Modern Steel Metallic, White Diamond Pearl, and Lunar Silver Metallic. Honda makes the 2018 CR-V available with two engine choices. The standard powerplant is a 2.4L engine that delivers 184 horsepower and 180 lb-ft torque. This is the engine you get with the LX trim in the 2018 Honda CR-V lineup. When you go with the EX or higher trim, you’ll enjoy the power and efficiency of a 1.5L turbocharged engine that is capable of generating 190 horsepower. Our San Antonio, TX Honda dealership stocks one of the best selections of new Honda models you’ll find in the region. If you are even thinking about buying or leasing a new Honda Accord, Civic, CR-V or Pilot, shop Fernandez Honda first. We’ll make sure you get our absolute best Honda deal and enjoy the transaction process from the moment you walk through our dealership doors. In the market for a certified pre-owned Honda or used vehicle? We can help with that, as well. 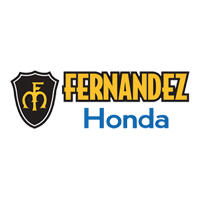 Fernandez Honda stocks all make and model used cars and even offers a special selection priced under $10,000. We can also provide you with a low interest car loan to finance your pre-owned purchase. Consider us your “one stop automotive” shop at Fernandez Honda conveniently located at 8015 IH 35 S. San Antonio, TX 78224. You’ll be amazed at our selection and surprised at just how affordable we make driving a new Honda or pre-owned vehicle.